Despite a difficult launch, Sea of Thieves’ closed beta reached 300,000 players during its week long run, according to Rare HQ’s closed beta summary. Arrgh you looking for more? Here’s 10 Sea of Thieves Cursed Chests we’d like to see. 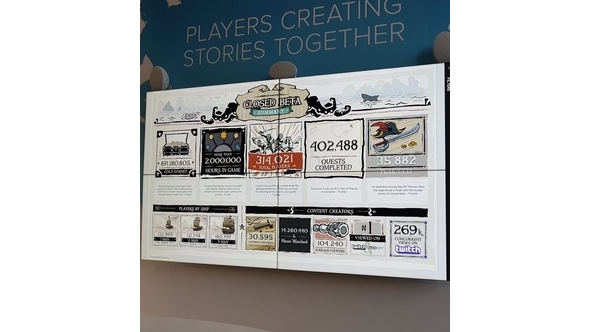 Resetera member Gowans posted an image of the closed beta summary, claiming it was taken by a visitor at Rare HQ. According to the summary, the total player count for the Sea of Thieves closed beta was 314,021, with two million hours spent in game, 402,488 quests completed, a peak concurrent user count of 35,882, and a whopping 871,180,805 gold earned. The summary also shows Sea of Thieves was number one on both Twitch and Mixer, with an average viewer number of 104,240 and 269,000 concurrent views on Twitch alone, totalling 14,260,440 hours watched. It also seems players prefer to travel in teams, as the four-man galleon was the most popular ship in terms of numbers, followed by the one-man sloop which is favoured by the lone-wolves and finally the two-player sloop. Potentially showing players prefer to play with others in Sea of Thieves. 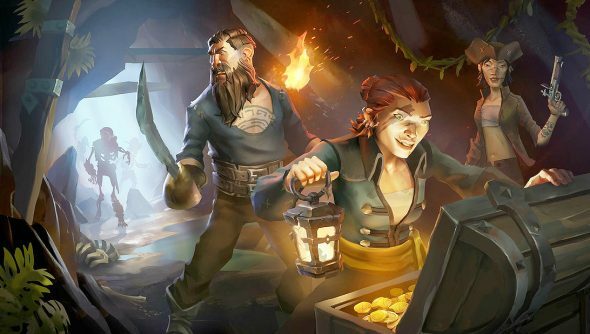 What we’ve seen in the closed beta may just be the tip-of-the-iceberg in terms of content, as one player has already datamined the beta for buried treasure. Sea of Thieves is due to release on March 20, and will be available on the Xbox Game Pass (which is also available to PC players) on release.